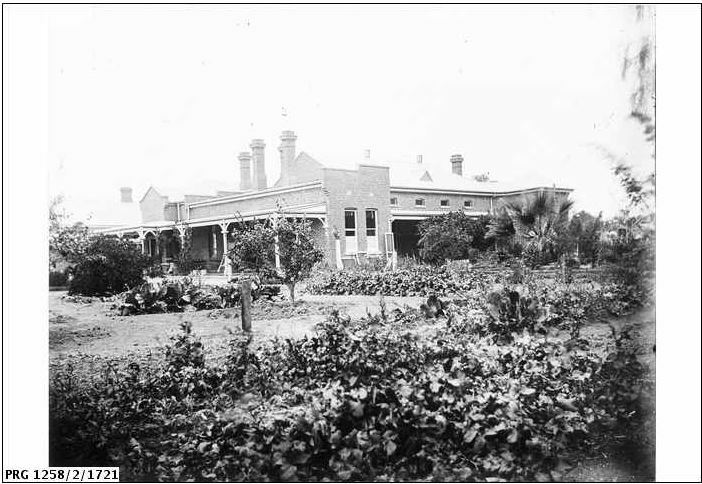 Samuel Wilson must have grown tired of the ostriches as they popped up 13 years later at Murray Downs Station, on the opposite side of the Murray river to Swan Hill. 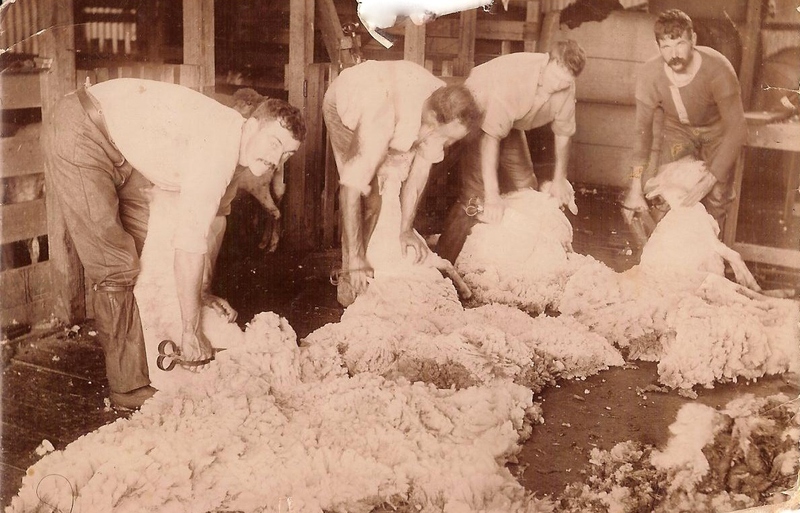 It was owned by Suetonius and Charles Officer. 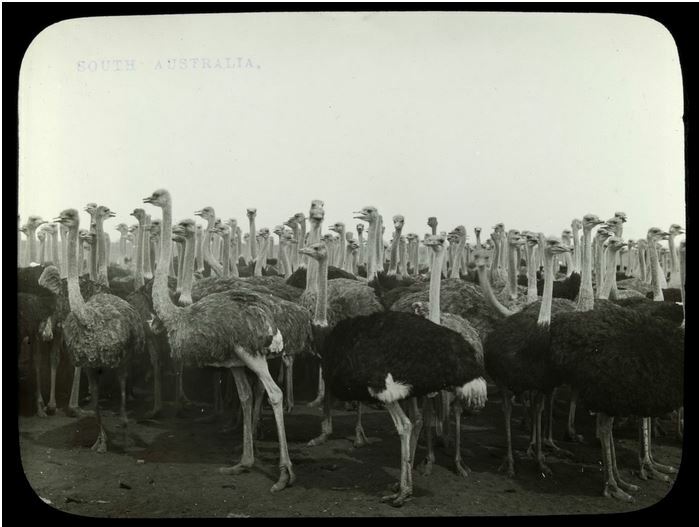 Seems they had more of a clue about ostriches than Samuel Wilson. 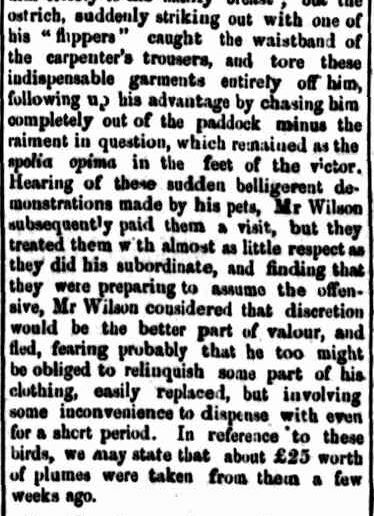 The birds had gone wild at Longerenong, probably after the trousers incident, with no one game enough to go near them. 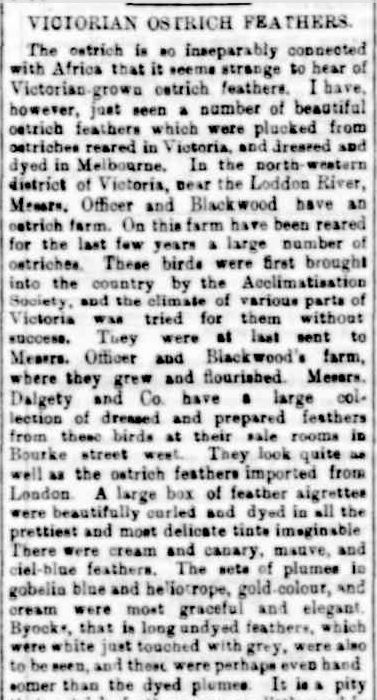 Rounding them up to move to Murray Downs was a major operation but once there, the Messrs Officer paired the birds off and accommodated them in small yards, and calm returned…somewhat. 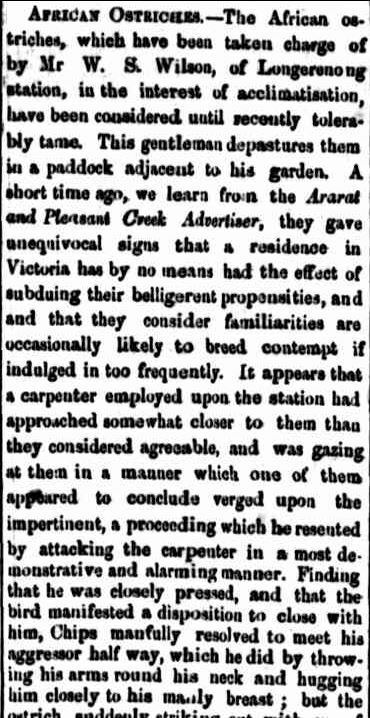 After Suetonius died in 1883, Charles sold Murray Downs and the ostriches were on the move again, this time to Charles Officer’s new property near Kerang. 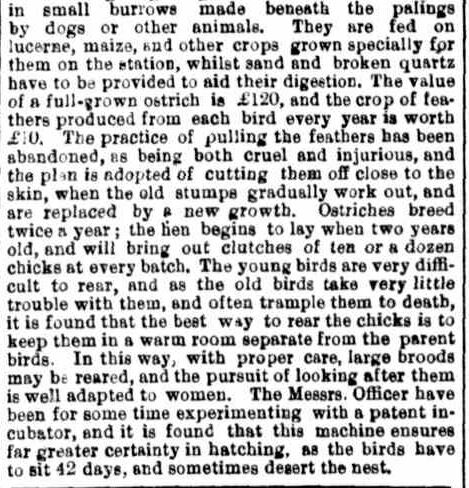 Two years later, and the ostriches had settled in to their new home and were producing feathers of a high quality. Twenty-six years later, the next generation of Officer Bros. had taken over the ostrich farming. 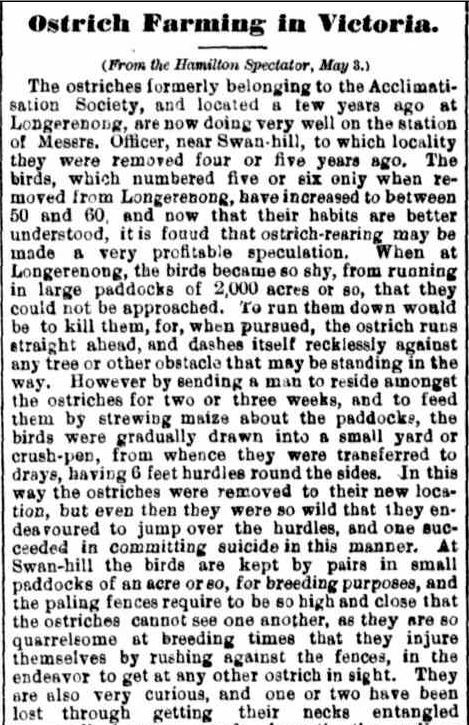 If you are wondering if any of the 1913 ostriches where a part of the group that started out in 1868, well, so was I and it is possible. 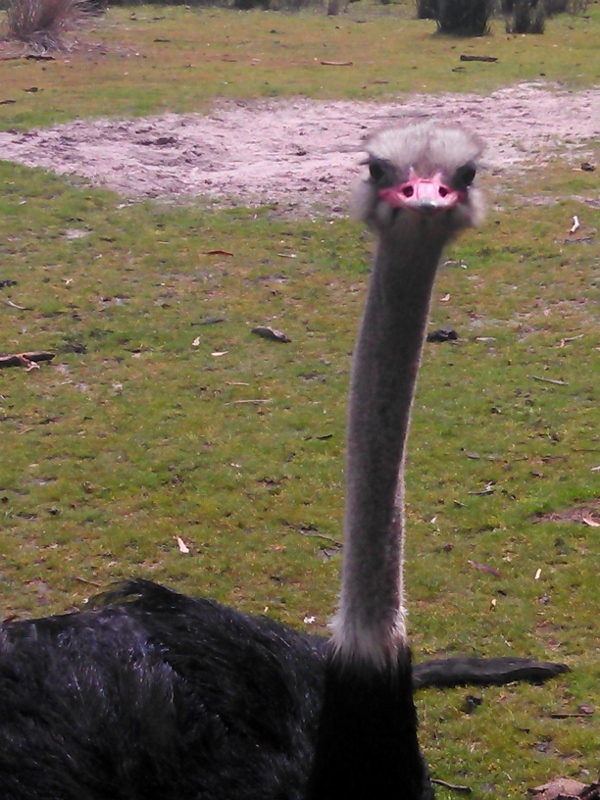 In the wild an ostrich can live to up to 40 years and up to 60-70 years in captivity. 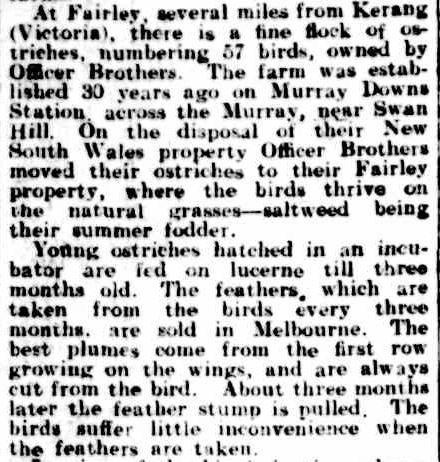 The Officer Bros. fed their ostriches well so you never know. 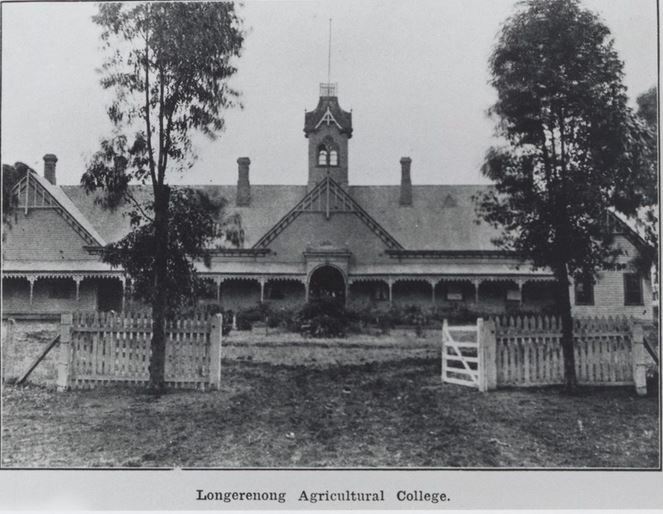 This entry was posted in Trove Tuesday and tagged Longerenong, Murray Downs, Ostrich Farming. Bookmark the permalink.